Rue de la Montagne 22, 1000 Bruselas, Belgica. 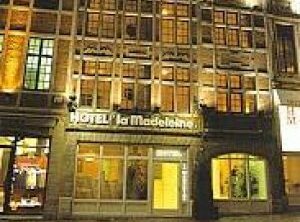 The hotel La Madeleine** is ideally situated for your stay in Brussels, in the heart of the historic city, close to the central train station and the Grand Square. Behind our 15th century exterior, now an historic monument, we await your visit and welcome you in the traditional charm of Brussels all offered to you at reasonable rates. Proximidad a la estación, Centro ciudad, Zona de museos, Proximidad al casco antiguo, Próximo al metro / tranvia, Centro comercial. 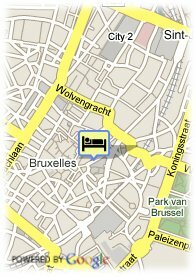 If you decide to stay at the hotel La Madeleine, you will choose your accommodation right in the heart of Brussels. The Grand Place, the "îlot sacré", the Petite Rue des Bouchers, the Galeries Royales, …in fact all the capital’s major sights are within 5 minutes walking distance.